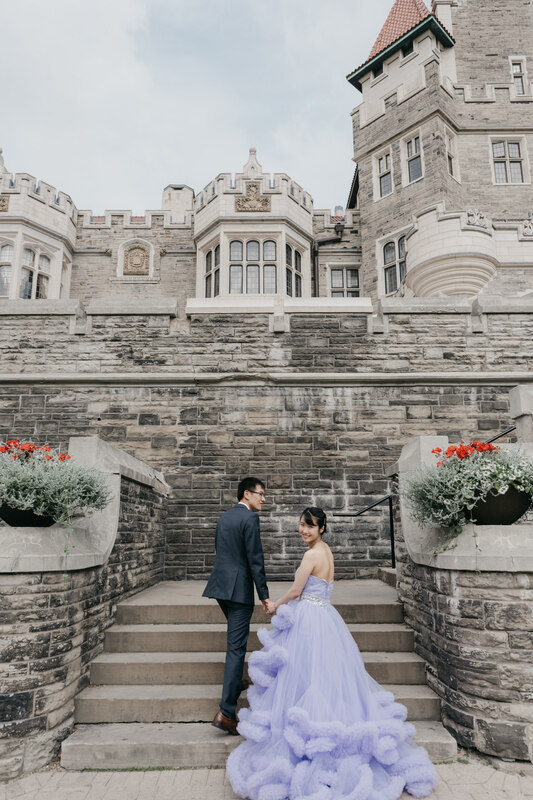 Marbles, wood, greenery, and fountains – elements that create a magnificent backdrop for a Casa Loma engagement photo session. It’s no wonder why Casa Loma is known as Toronto’s Camelot. One can feel the history through the details embedded within. Wendy and Kai were seeking an engagement location that is grand, tasteful and sits on an interesting story. Casa Loma was a perfect fit. 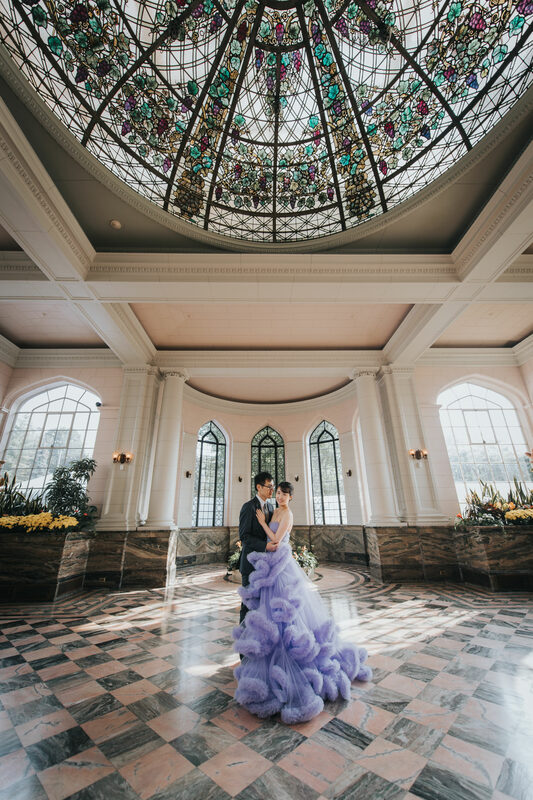 Starting at the Conservatory room, the soaring glass ceiling and long bay windows perfectly illuminated the couple. Luscious tropical greenery and marbles instill a breath of fresh brightness in the photos. Moving on to the rich Library room, mahogany wood panels and glass doors cover the walls, along with the dim chandeliers create a darker and moody backdrop for Wendy’s lavender princess dress. As we move outside to the terrace, we are again welcomed by a perfectly groomed garden, equipped with a magical fountain, glass pavilion, and a romantic gazebo. Looking at these photos now really does give the feeling of a happily-ever-after from a fairytale – bright, romantic, classic, unforgettable. Hope you enjoy this story as much as we did telling it. Looking for more inspiration of a grand wedding? Wondering where to find the perfect spot for your photoshoot?